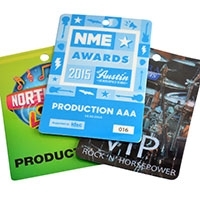 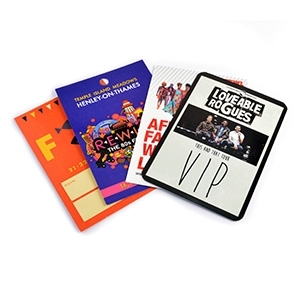 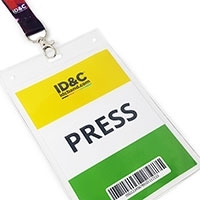 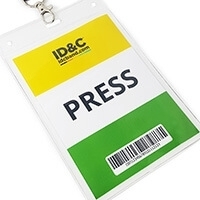 Easy to apply, our sticky passes are a quick and cheap ID solution for staff, crew & backstage areas at events. 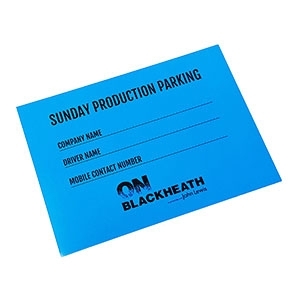 A short-term solution ideal for one day events. 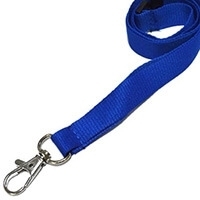 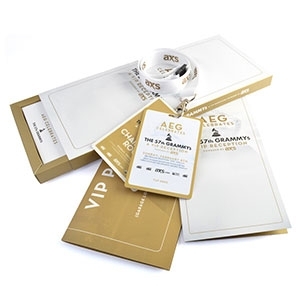 Our satin cloth passes are made from the industry standard, malleable woven satin. 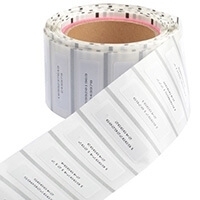 They stick easily to clothes, fabrics and flight cases and don't peel off when wet. 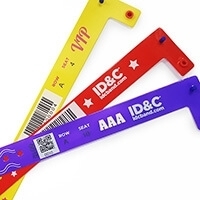 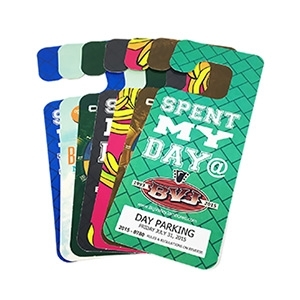 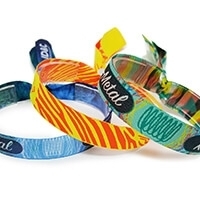 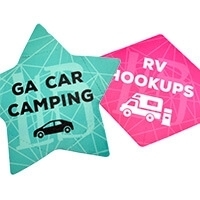 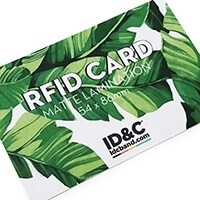 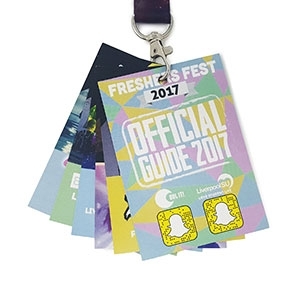 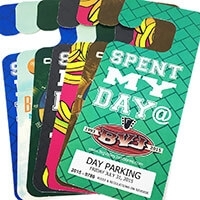 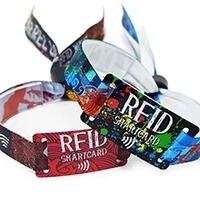 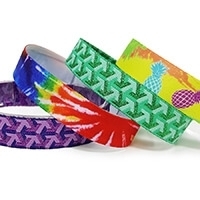 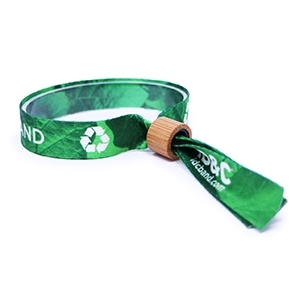 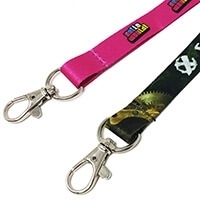 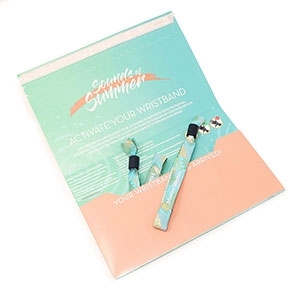 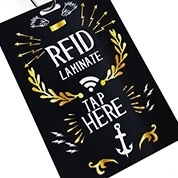 Our sticky satins are ideal for tours, backstage access and at multi-day festivals, where a simple, yet secure method of identification is required. 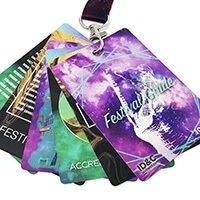 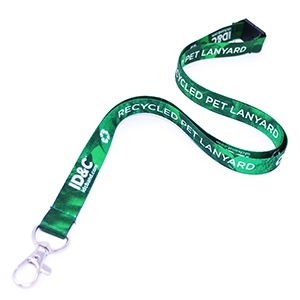 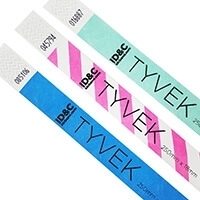 At ID&C we custom print our satins in glorious full-color digital print, perfect for your band and great for easy ID. 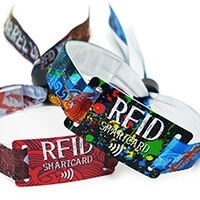 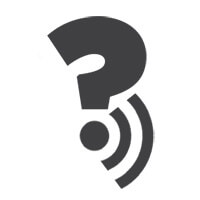 Design your own online with our sticky pass designer.